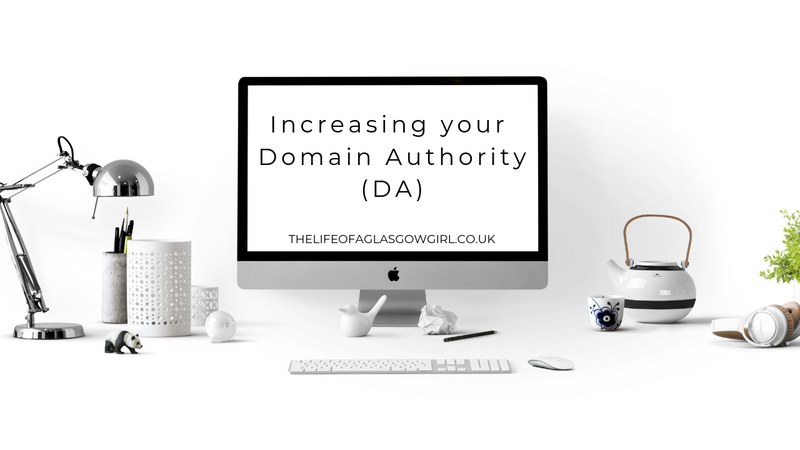 When I first started out blogging all I heard about was Domain Authority (DA) and if I'm honest, it scared me a little. I felt like I was in over my head and I had no idea what it was, why I needed to increase it or how to. After a while I realised it was a nifty little thing and I researched the hell out of it. So I thought why not share everything I learned, compile it into one place because I'm sure it's going to help someone else. You may have heard the term "DA" alot which stands for Domain Authority and for the purpose of this post I'm going to use "DA" throughout. DA is a site metric that was developed by MOZ, your site will have a number between 0-100 and this tells you how high ranking your website is on search engines, the higher the number, the better. There's so many things that come into the equation here on determining how high your number is but I'll get to that soon. Each month MOZ will scan your website and give it a score out of 100 but bear in mind that to get as close an accurate reading as possible you will have to have your own domain rather than a .blogspot or .wordpress for example, as these won't give accurate readings on your score, if at all. It's also worth noting that within your first few month you may not get a score as it's not well established, through time your site will gain more credibility and your DA will improve. MOZ have just changed the way in which you can check your DA, before you could check as often as you like but they have now introduced the Link Explorer which is more accurate in checking DA but you only have 10 queries per month plus you have to sign up to use it. But this isn't too bad as you can sign up for free and there are a lot more insights that come with it. If you're looking to learn more about what DA means and how it works, searching on Google really helped me out in the beginning. There's so many posts and articles out there explaining it better than I ever could. Now that I've spoke a little about what DA means let's get onto how to increase it. If you still have a .Blogspot or .wordpress for example and DA is important to you then it's high time you consider getting your own domain name. When it comes to choosing one make it something easy to remember, something that will stick in people's minds and make it easily readable. Choosing something complex won't do you any favours. As I said before, over time your DA will increase because it's a long stand site but that doesn't mean you can rely simply on time, this is a small increase but an increase none the less. It should go without saying that you're creating quality content, everyone who runs their blog will more than likely be very proud of their content but there are some things to consider when writing your posts. Have keywords and phrases throughout the post, make sure it ties in with the title of the post as that will make it more readable not only to your readers but to search engines as well. Sometimes it might be better to publish a few really amazing posts in a week rather than trying to blog everyday, that's not saying that your content everyday wouldn't be fab too, but in terms of planning and time spent optimising it, a few good posts are going to serve you better in the long run of DA is important to you. As with creating quality content, creating LINKABLE CONTENT is very very helpful. This basically means something that people will find useful and hopefully link to, so taking your post as a link and referencing it. I remember doing this in my early days of blogging, finding posts I loved that inspired me and then linking back to them *not stealing their content btw* and all the while inwas doing this it was helping improve their DA. Again, make sure it's relevant to your blog, well written and has keywords throughout. It's not only great exposure for you to guest post on other blogs or get your links on them it can be really handy when it comes to increasing your DA. The higher ranking the site the better. There are many ways to get gust post slots, looking through Facebook groups or posting out about them is helpful and sometimes you can find them in the #Bloggerswanted hashtag on twitter. 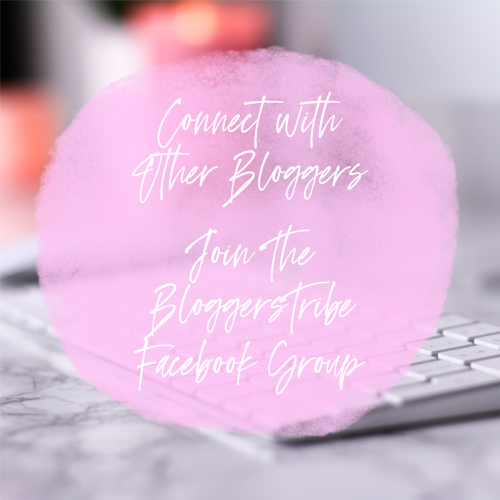 Searching Blogging groups on facebook is a sure way to find something, I have seen many opportunities spread throughout. Just make sure that you write a post that is relevant to the blog/site owner and fit's in with your aesthetic as well. Keeping the content value high will see your link be more valued in the eyes of MOZ. A good thing to try with this is finding someone who is willing to swap posts with you in a manner of speaking so you both write a gust post for each other and post them with each others links included, this way you mutually benefit from each other and it's not just a one way street kind of thing. Just like back links, internal links are very very important and this means linking your own content throughout your site and in other posts. For example, I have linked my advertising page within this post because it makes sense to what I was saying. I have also linked to a blog comment post I wrote because again, it makes sense to what I was talking about. That's the best way to do it, don't just start linking your content randomly but rather make it fit with what you are saying so it's serving a purpose, This keeps your content quality high and anchoring them to text that makes sense will help your score. I know that when you read "SEO" it can sometimes seem daunting and a huge task to get your head around but I promise it doesn't have to be some terrible task, not if you stay on top of it so I'm going to break down what I do to keep my site in check. If you aren't really that familiar with SEO yet then looking into it and teaching yourself will come in super handy! Image Alt Tags - When you upload your image you should be making sure they have Alt tags, this is something that will describe what the image is about and helps search engines read it and find it, for example, google will not be able to read the image other wise and if you do it, it's more likely to come up in a search for that term so try using something relevant to the image and post. Make it a habbit, as soon as you upload the picture, add the alt tags. I'm not sure how to do it on wordpress but if you click on the image in blogger then click on properties when the blue task menu appears that will let you place in tags. Search Description/ Meta Description - This is a sentence or short paragraph that tells people what the post is about so when it shows up in search engines people get a brief idea what the post is on. Using your keywords in this is advised and making it as catch as possible is also a good idea. Broken link checks - It's really good practice to check on your broken links regularly so you can get rid of them as soon as they appear. Every so often I will get comments on my blog that will have broken links in them and rather than keeping the for comment count it's much better to delete these as this will serve you better in the long run. When your site is checked by MOZ they ideally don't want to see many broken links, if any at all, this devalues your site and will go against you blog DA increasing. I use THIS site to regularly check my blog, I tend to do this once a month or every two months, if you wait it can be really tedious in getting rid of them all so stay up to date on it. Making sure your blog is user friendly is very important, make sure you check your blog regularly, critique it and make sure it's easy to navigate. People won't want to stay on a site or keep returning if they can't find anything on it or read it properly. I wrote a post a little while ago about what I don't like to see when I visit a blog so check that out to get an idea of why people may not be returning to your blog. Lot's of adds and pop up's seem to be a big trigger for people so keep these to a minimum or eliminate them completely. You really want people to be staying on your blog as long as possible and returning so making it easy to navigate will help. Sharing your content across social media isn't only a great way to get it out there it's also great for building your DA. A high ranking DA most likely means high traffic so the more you share and get it out there, the better. This allows others to share your content and widens your reach. Encouraging your readers and followers to share your posts from your site will help Google see your blog as trustworthy and will go towards increasing your Domain Authority. Advertising your blog through peoples advertising packages can be a good way to help Increase your DA because this get's your links onto other sites. When choosing who you will advertise with it's important to take into consideration their DA as well, like with building links and getting back links, the higher their site is ranked the better for you as well so checking their DA score can be handy, just put their blog URL into the DA checker if you have any doubts. I also offer advertising for people and many keep coming back because it's helped them which I love so if you fancy seeing what I offer, Check out my Advertising Page. a Mobile friendly site isn't only good for your readers and aesthetically pleasing, it's also good for helping you improve your DA score. A large number of us will use our phones or tablets to access blogs these days so making sure it look's good on those screens will ultimately help you. If your site isn't optimised yet, do it. And that's everything I have learned so far about increasing Domain Authority. It can be a lot of information to take on board but trust me, it's worth it and if you want to increase your DA then applying these steps and making some thing a routine will help you soar. Please remember though, a number does not define you and everything takes time, your DA won't go fro 7 to 30 overnight, that's just not possible so have fun with your blog, and keep good maintenance. Thank you for commenting :) I am so glad you found this helpful. Since being new in the blogging world I’m just coming to know of these words. 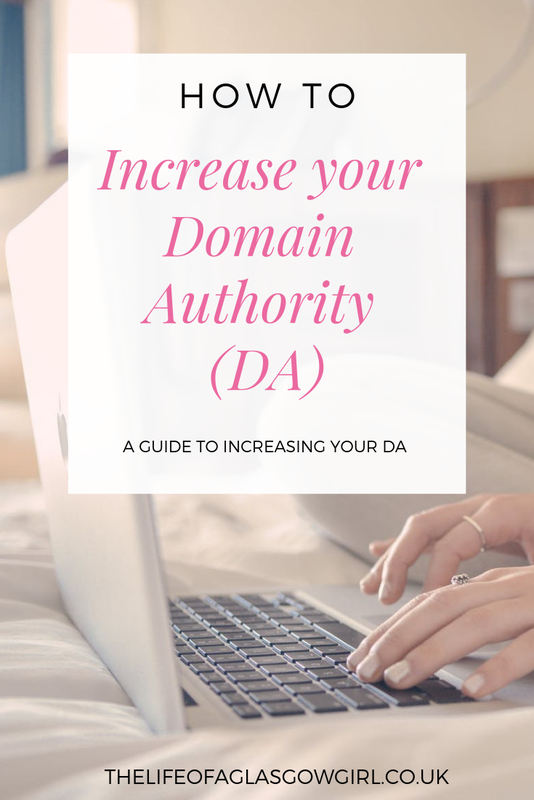 I was looking for a simple yet detailed article to read that would be easy to understand what is domain authority- glad I found this, it has answered all of my questions! Thanks Jordanne! I found this really helpful and informative having only just started up (literally yesterday) I've been following you on twitter and reading your blog for awhile though. Thank you for commenting :) I am really glad my post has been helpful! Thank you so much for your comment Lisa :) I am really glad you found this helpful!! Thank you for your comment Alice :) glad this has helped you! This blog post would have been so helpful when I started blogging. You really di a great job explaning what DA means etc. These are such helpful tips, especially for someone like myself who is still trying to get to grips with the technical side to blogging! I currently don't have my own domain, but I aim to change that this year so I'll be bookmarking your post and coming back to it when I start working on my DA! Really glad this has been helpful :) thank you for commenting! You've explained it very clearly and I'll bookmark this in case I do decide to make the leap and cut off my blogspot-tail. Thank you! I love this so much - it's given me so many good tips. 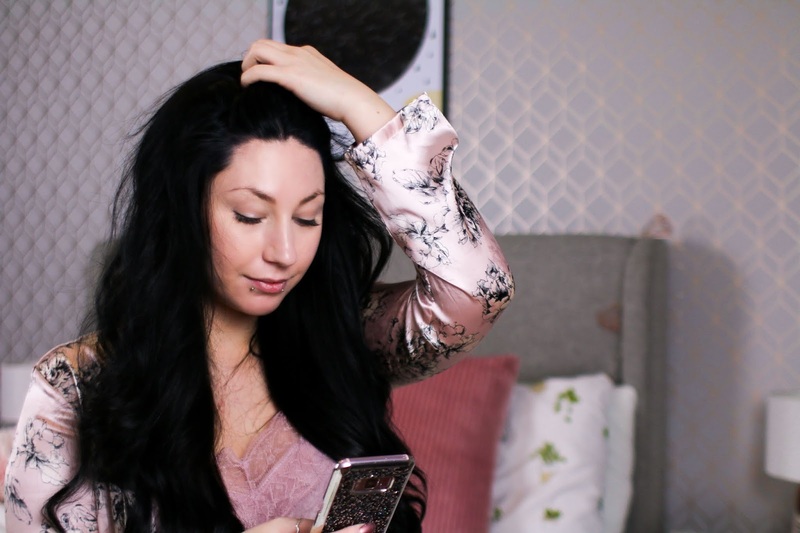 I've been struggling with getting a bit more traffic to my blog and really think improving all this will help! Wow! Thank you so much for this blog post. I had no idea about this thing called “ DA”. I always associated that with DeviantArt. Haha! I would like to look at paying for my own domain name, but worry about the expense. I used Wordpress, so could use their offer, but I’m not too sure about it? What do you suggest? Thank you so much for commenting ^_^ I'm not too familiar with #wordpress if I'm honest but I have a friend who paid for it through #wordpress and wishes they done it through a hosting site like godaddy- although I wouldn't reccomend them. That's who I'm with and when my year is up I'm changing as the past two years haven't been great with them, they put their prices up so much! I think asking for advice through Twitter would be a good suggestion tbh. Use the bloggerstribe hashtag - #Bloggerstribe and we will RT it for you to get it seen and help you get some answers. I really need to get better with internal links. I always forget! Thanks for the reminder. Great post. I used to have my blog via my business website but it wasn’t what I wanted so started a new one on Wordpress in October. My DA is currently 1. So I am guessing it will take a while as it is new. 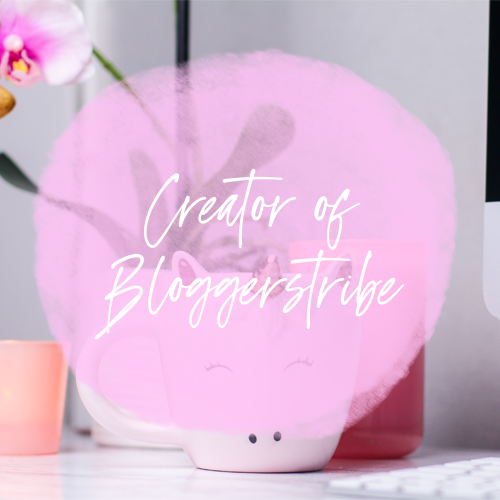 Knowing that your DA will increase with time is so important for new bloggers because it's so easy to get disheartened when you start out with a DA of 1! The alt image keywords on the photos in every post is something I definitely need to work on, I always forget and it's really naughty of me because they make such a difference!! Advertising is also a brilliant idea, anything that can get more people clicking on your blog can only be a good thing! Thanks so much for sharing your brilliant advice, I'm sure so many people will benefit from it! I love this! I'm definitely going to keep this post in mind when I can finally go self hosted and get my own domain. Some of these points actually make sense and I'm already doing so many of them. Hopefully when I do have my own domain, I will have a good score. Thank youu for all this information lovely, I feel it's been very helpful to not only me but other bloggers. Thank you so much for your comment Gemma :) I'm glad you found this helpful! This is so helpful! I love it! Great to see others share helpful tips! This is honestly so helpful! I always keep checking my DA, but I never knew how to increase it. Thank you so much for this! Informative post for increasing domain authority of the website. Now I can work for improving DA and I believe these are the best tips to increase it. I still find DA Authority so confusing but this really helped, we got ours from 7 to 18 in a month which might not be much but we're getting there lool! This is really helpful. DA Authority is something I'm now starting to pay attention to and work on, and I was sure I remembered seeing a post from you on it - I'm really glad I found it! This post is really helpful. DA Authority is something I am only now starting to pay attention to and try to work on, and I was sure I remembered seeing a post from you on it - I'm really glad I found it! I am so pleased that I was directed to this post (thank you Twitter!) I literally have been trying to get my head around all this for the last few days! Simple & easy to understand. Thank You! Thank you for creating this post. I came across it on Twitter. I have been struggling to understand some of these concepts and the way you have explained them make perfect sense to me now! Thank you again. These are such good tips! I'm often referring back to this post - thank you so much for sharing! This was such a helpful post, thank you! I have only really began learning about SEO, so I'm definitely going to take all of this on board as I work on my blog. I'm so grateful for the useful and insightful posts you share. I just discovered your blog a couple of weeks ago and I've been obsessed with everything you write. I'm new to blogging so this posts are really helpful and I've been implementing some of your suggestions from other posts as well. So thank you for the incredible posts you write. I'm learning so much. This is some great info! My blog has been stagnant at DA9 for a few weeks now, definitely going to implement some of these tips! Thank you so much for this post. I literally learnt about DA yesterday and have been sourcing info on how to increase my own. I bought my Web domain in July making the transition from Blogger. I signed up for MOZ like you suggested checked my DA and trying to not feel disheartened that it only scores a 2 at the moment 😢 despite blogging for years. Hopefully I can use the tips in this post to help my little blog. So helpful. Thank you. It reminded me to recheck my broken links on my blog again at the start of a new year. I battle with backlinks in my small niche, but your suggestion is wonderful. Thanks for these tips - I have always wondered how to increase my score - mine is now a 10 when I checked this morning! It is slowly going up and I will be sure to use your tips to work on making my blog better! Thank you for these tips. When I first started blogging I had no idea what DA was and struggled to figure out how to increase it. I still have some work to do in increasing my DA score, but these tips will help me our greatly. This is such a great post!! i love these types of posts. Thanks for the great tips - I've always wondered about DA and how it works! With image alt tags on WordPress- the option to add alt tags is below the caption box when you upload a new image to your post. Alternatively you can also edit or add alt descriptions through the media tan and sorting through your library. This post is so helpful and definitely one I will come back to. Thanks so much for sharing!